Why not be romantic AND budget savvy this Valentine’s Day in Orlando? We’ve selected a long list of inexpensive events and free things to do to celebrate Valentine’s Day in Orlando. Whether you like to connect through live outdoor concerts or museum exhibitions, there is an event for whatever floats your boat. For even more ideas, read: romantic Orlando dates under $30. $25 per person. Volunteer for a good cause on your date night with Orlando Date Night Guide and Clean the World. You’ll make hygiene kits and wine down with other like-minded couples. Wear red to get in for just $1 and that includes your skate rental and free pizza during the first hour of skating. $6 per person (cash only) to discover the romance behind the tapestry of the night sky. $20 per couple for an evening of wine, cheese, and live music. Advance admission purchased online is $3.50 and ride armbands $25. Morse Museum is providing free admission every Friday night from 4 p.m. to 8 p.m. Enjoy the award winning musical. $22 individual tickets, $50 for dinner and show. Each dinner and show ticket comes with $30 to use towards a participating restaurant. $18 per person includes four 5oz beers perfectly paired with four locally made chocolate from Caycakes. $20 per person, $10 for members. Bring your favorite picnic dinner and drinks to enjoy special outdoor concert by Ricky and the Buzzcatz. Special “love” ticket deal: 2 for the price of 1 ($15). Pick up glasses and a map to enjoy adult beverages at 22 locations. Free admission, live musical entertainment. Bubbly and cheese platters available for purchase. Enjoy fondue for 2 and tour of the chocolate museum. $38.90 for 2. A couple that laughs together stays together. This 90-minute improv show will have you laughing until it hurts. Tickets are $20 or you purchase the sweetheart special that includes two tickets, two beers and popcorn for $48. Pair your favorite craft brew with treats from local vendors like Gezelling Cookies. $5 for 45 minutes of play time. $10 members, $17 non-members for an educational session all about chocolate. Spend a romantic evening in the garden with your Valentine to enjoy live music and carillon concerts (included with $12 admission). Add dinner to your experience for $35 each. Tickets start as low as $12 each (plus tax and fees). $34 per couple to make delicious treats with your date. Call to make reservations in advance. Events planned throughout Winter Park to celebrate the arts including performances and unique exhibits. Many of the events are free, some require a ticket. Sundays, 12 p.m. to 3 p.m.
Visit the historic Casa Feliz for a free tour and live music. $5 donation suggested. 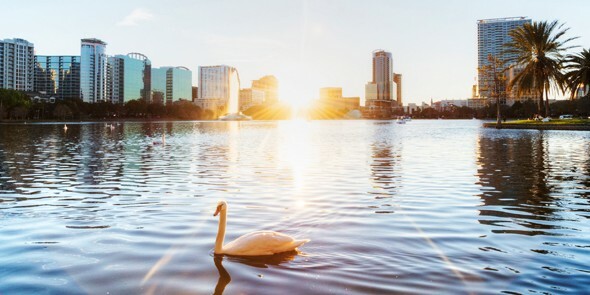 For even more ideas, read: romantic Orlando dates under $30.